The Yellin Center Blog: Rewards for Reading: Does It Work? An article in Reading Today*, a publication of the International Reading Association, cautions against rewarding students for reading. The authors, Katherin Hilden and Jennifer Jones, of Radford University in Virginia, warn parents and educators that research has not found rewards to be particularly effective, and that if rewards are given, they should be the right kind. Hilden and Jones discuss the two different kinds of motivation: intrinsic and extrinsic. Intrinsic motivation comes from within a person. For example, a child may spend hours drawing or playing video games because s/he finds the experience rewarding. A common phenomenon in people who are intrinsically motivated is the sense of “losing track of time” as they pursue the chosen activity. When a person is extrinsically motivated, however, they behave according to external factors; extrinsic rewards can be tangible (a prize) or intangible (praise), and extrinsic motivation may even result from desire to avoid punishment or a poor grade. Hilden and Jones cite studies which have observed students working for extrinsic rewards, then ceasing the desired behavior as soon as the reward is earned. This is hardly a trend that teachers attempting to instill a love of learning in students should be perpetuating. For example, one study found that students who were given either a book reward or even no reward at all for reading were more likely to continue to read on their own than students given points, trinkets, etc. as a reward for books read. The authors make several recommendations about rewards, for example, offering rewards that are linked to the desired behavior, like giving kids books, bookmarks, or journals as rewards for reading. Another suggestion is to make the reward social, like allowing students to eat lunch in the teacher’s classroom at special readers’ lunches or to allow them time to share their reading with others. Hilden and Jones note that social collaboration has been shown to predict reading motivation among students in first grade. Finally, students can be motivated to read if they have choices. The authors recommend that a variety of reading materials, including non-fiction selections and magazines, be available to students. Children should also be allowed to use e-readers if they prefer them. While handing out goodies is an easy way to recognize a job well done, parents and educators should think carefully about ways to teach students that reading is its own reward. *Hilden, K. & Jones, J. (2011). 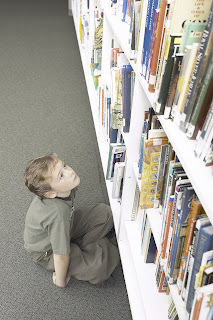 “Rewards for Student Reading: A Good Idea or Not?” Reading Today, 29(2), 6-7.